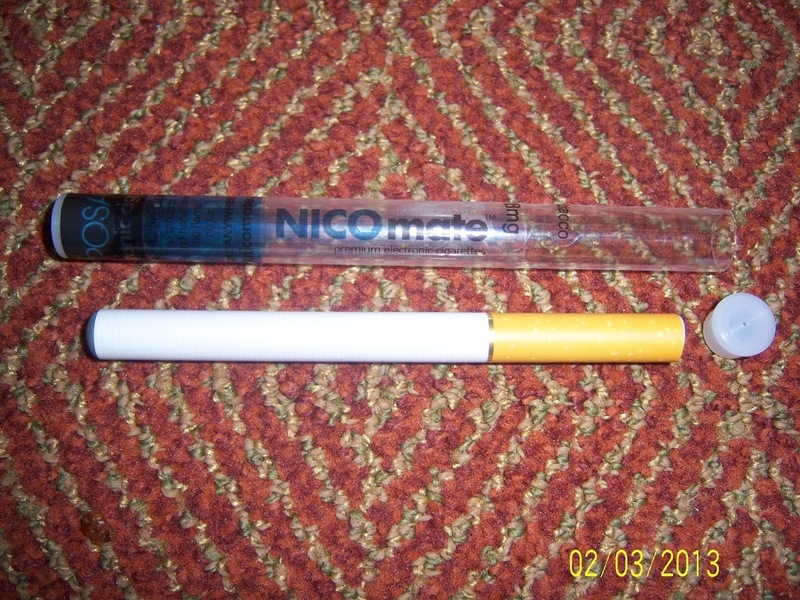 7 Kids and Us: NICOmate Electric Electronic Cigarette Review and Giveaway! 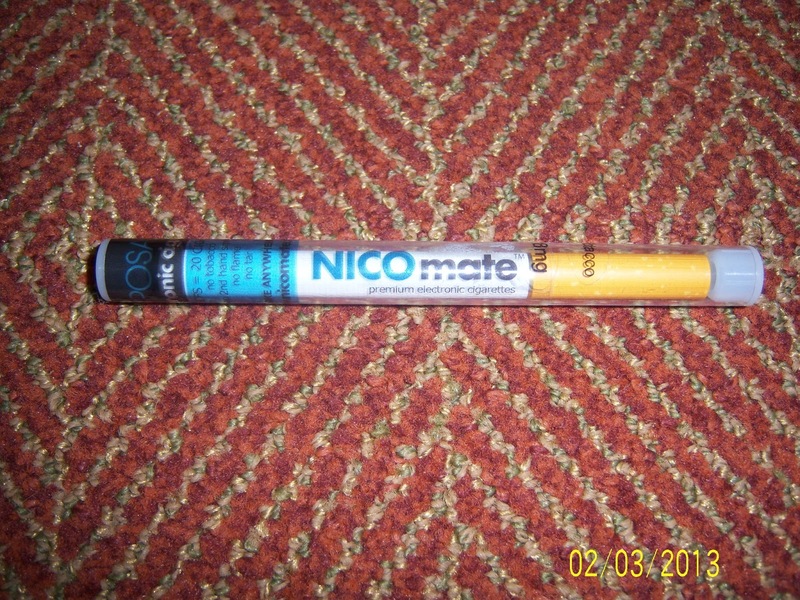 NICOmate Electric Electronic Cigarette Review and Giveaway! My husband has fallen victim to smoking. He has been smoking since he was 15 and I cannot imagine how hard it is on him to quit. I get on him constantly about quitting because we have 5 kids and he needs to be healthy and live a longer life, as well as set a good example for them. With it being a new year, his goal is to stop smoking. I am grateful for this and was able to get the Disposable Electronic Cigarettes for him to try. Each cigarette is equal to 1 and half packs of cigarettes which my husband is a pack a day smoker. 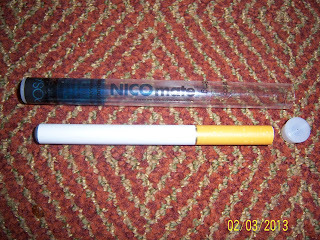 So the Electronic Cigarettes lasted him 3 days. 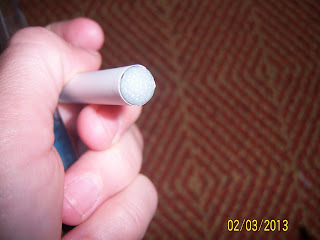 While he had the ecigarette we were able to go to SeaWorld which has designated smoking areas, but there are not many and placed very far apart. My husband was able to smoke wherever he wished with the freedom of the NICOmate cigarette. Why? Because they do not put off second hand smoke, they just fulfill the need of having a cigarette. I also liked how while in the car he didn't have to crack the window, which all that does is blow the smoke and ashes in the backseat. I hate getting into my car and seeing ashes everywhere he thinks they leave the car but they don't and it's gross! 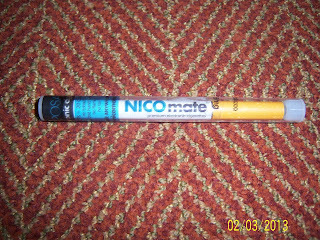 The NICOmate was very handy and I want to look into the longer lasting NICOmate ecigarette because it is chargeable and lasts longer which for someone like him you need a steady fix to help ease off cigarettes. I really enjoyed having this product in my house, along with it being clean it also saved us money! A pack of his normal brand of cigarettes are about $7 a pack which for a pack of 4 ecigarttes its only $24.95 which is equal to about 6 packs of regular cigarettes. That's a great savings. a Rafflecopter giveaway On top of this giveaway which 1 of our readers will win, NICOmate.com is hosting its own giveaway which you can win the whole set by clicking the banner below. Disclosure: I was given 2 Nicomate Ecigarettes to help with my review. All opinions are 100% mine. It costs too much money and so my hubby can breathe better. My daughter wants me to quit and it would save a lot of money. I quite already I would love my husband to quit for health reasons. My sister was in the hospital this past January, and it made me realize that I want to always be there for her. My son is getting older, and keeps being upset about me smoking. My sister is trying to quit and I really want her too. Not only for her health, but she can't afford ciggerettes but keeps buying them anyway. To be a good role model for my 5 month old son! I quit last year and my ol' man still smokes. I have really been bothered by the smell of the house, our clothes, and him. :( He wakes up several times a night to smoke and then coughs until he wakes me up too. It's time to quit. I want to quit because it is the dumbest thing I have ever done in my life. I've never smoked in my life, I want to help my husband quit! I want to quit for my health and lower insurance premiums! My youngest child is 8 years old. I want to quit for her and her brother who is 12 and her sister who is 15. They have asked me to quit, and I am willing to do this for them. I notice that it's been getting harder for my to breathe and I get winded alot easier when I do simple tasks. I actually quit smoking and started using electronic cigarettes almost two years ago. The cost of smoking and the health benefits of the electronic cigarettes was enough of an inspiration to help me quit. I don't smoke, my fiancee does. He wants to quit for our 6 month old son. For my health and for saving money.